The Medallions are Programmed with the Combination Remedies below. They can hold far more energy than a patch of the same name. The Medallions are made of Surgical Stainless Steel. The programmed energy lasts forever. The programmed metal is changed at the molecular level.and cannot be corrupted by cell phones or electronic instruments. Complementary remedy frequencies are added to increase and improve the effectiveness of each product. Please ~ choose ONE the Remedies below per Medallion. The Medallion is Designed to Alleviate the Body’s Reaction to Common Allergens. An allergy occurs when a person’s immune system reacts to substances in the environment that are harmless for most people.These substances are known as allergens and are found in dust mites, pets, pollen, insects, ticks, molds, foods and some medicines. The immune system is the bodies system of defense Allergies occurs when a person`s immune system has a misguided reaction – against foreign invaders, Misguided in that these foreign substances are usually harmless. Food allergy is an immune system reaction that occurs soon after eating a certain food. Even a tiny amount of the allergy-causing food can trigger signs and symptoms such as digestive problems, hives or swollen airways. In some people, a food allergy can cause severe symptoms or even a life-threatening reaction known as anaphylaxis. The next time you eat even the smallest amount of that food, antibodies sense it and signal your immune system to release a chemical called histamine, as well as other chemicals, into your bloodstream. These chemicals cause allergy symptoms. This Medallion is programmed with important Anti-Aging Energy Frequencies. This Patch contains the specific energetics that help a person feel alive and more energetic. People seem to become more physically active, they look and feel younger. This program contains the Universal Healing Frequencies and Universal Sub-Harmonic frequencies. The energetics of the original injectable GH-3 formula created by Dr. Ana Aslan has just been added to complement this program. Dr. Ana Aslan was a Romanian biologist and physician; in 1952 she founded the Geriatric Institute of Bucharest. This institute was the first of its kind in the world and was recognized by the World Health Organization. Dr. Aslan’s GH-3 became noted as an anti-aging therapy because of its revitalizing factors. The clinic attracted many wealthy celebrities and world leaders who flew there for anti-aging therapy. Adenosine triphosphate, or ATP for short, is the energy currency of life. ATP is responsible for supplying this energy to our cells. 26 ATP Chromosomes * ATP Basic Energetics * Structured Water frequencies *Ubiquinol (an antioxidant to support the body’s energy production). Cells are the building blocks of life. They come in many different shapes and sizes. Each cell has a specific function to help the organism to perform tasks necessary for survival. For instance, nerve cells are needed to communicate messages to our brains. They also allow us to think. Another example is the cells that make up our various muscles. All cells perform specific tasks, and all cells need energy to perform these tasks. ATP is responsible for supplying this energy to our cells. The water inside the cells is absolutely critical for health. If an organ has a pathological condition it’s not only the proteins inside that organ that are not working, but also the water inside that organ. That water needs to be organized/ and structured. Much of the water in a healthy human body is in a liquid crystalline/structured state. Many components of the body are also considered to be liquid crystals, including collagen and cell membranes. These tissues work cooperatively with structured water to create an informational network that reaches to every cell. The liquid organization of the human body accounts for the instantaneous transfer of signals and other biological information. Healthy DNA is surrounded by structured water. This water is responsible for the DNA’s stability. Structured water is also responsible for supporting the electromagnetic field surrounding DNA. As water loses its structure (because of age and disease), the integrity of the DNA is often compromised. Youthful DNA, surrounded by crystalline/structured water, has a much stronger electromagnetic field than DNA from older individuals. When water molecules become organized to create a coherent liquid matrix, an energy “field” comes into existence around the water which can be photographed and measured. This showed up on photographs taken by the Institute for Human Science (connected to the University of Irvine, CA) during research on AEP patches. When drops of water were placed on programmed AEP patches a light which emitted photons (information) appeared around the drops of water. The Digestive Gluten Celiac Medallion is Designed to Aid in the Digestive Process. Probiotics have been added to help with digestion. The digestive system is the largest system in the body and involves many organs, and the process of digestion has many stages. Each part of the digestive system is subject to a wide range of disorders.With this Medallion we have tried to add frequencies that will aid in the digestion of food, including the energetics of bacteria that are friendly to the system. We have also added the frequencies to aid those with GERD, Celiac Disease & Gastroesophageal Reflux. I would like feed back from those who have used the Digestive products for these problems. They are not included in the patches as they are restricted by size. The Medallion contains the energy of Advanced Eye Focus and Vision & Clarity Patches. Eye Strain left * Eye Strain Right * Eyesight (homeopathic) * Eye Bright (Homeopathic) * Eye Focus * Cataracts * Cornea Left * Cornea Right * Corneal Epithilium * Ginko Biloba * Glaucoma * Internal Pressure * Ascobic Acid * Folic Acid * Retina left * Retina right ^ Lutein * B12 * Omega 3 * Selenium. This Medallion is designed to restore the specific energy needed to improve a broad range of eye health challenges, Our intention is to restore the energy patterns related to the eyes and includes; Floaters, Retinal inadequacies, Glaucoma and Cataracts. We found and identified a particular band of energy missing in all people who have developed these particular eye conditions. The intention is to restore the energy to the levels found in very healthy eyes. This product also contains the Specific Frequencies to Increase the Flexibility of the Optical Lenses Inside the Eyes and Return the Normal Focusing Ability of the Eye. Stimulates the Area of Association, Speech and Calculation to aid in recall. Acetylcholine * Serotonin * Stimulation * Concentration * Mental Alertness * Mental Clarity * Improve Short Term Memory and Recall * Brain Fog Relief * Motivation to stay Focused. * Confidence. This Three Stage Program has been Designed to Cope with the Challenges of Concentration and Focus in the Lives of Adults and Older Children, and to Raise the Ability to Cope with any Stress and Anxiety . Note! There is a Children’s Concentration & Focus patch program for younger children who have problems focusing in school. Please Note: Any parasitic infestation could inhibit the success of the Focus Concentration Memory program. I there is any chance of parasitic infestation it would be a good idea to use a Parasite Cleansing Patch for the first month. Wearing the Adult Concentration and Focus Patch at night may stimulate the Brain and could keep you awake, if this happens just wear it during the day. Will Encourage Hair Growth by Stimulating the Hair Follicles. There are many causes for hair loss, this new Medallion covers a broad range of causes, from alopecia to pathological. The most important purpose of this Medallion is to stimulate the hair follicle. Hair grows very slowly so this Medallion may need to be worn for many months before seeing any improvement, and it may even have to be worn forever to keep the follicle alive – but I have had very encouraging feedback from those testing it for me! Most people think that massaging the scalp is helpful,unfortunately running the fingers through the hair close to the scalp can break off the baby hair starting to grow. The better way to encourage hair growth is to place all your fingers on the scalp and move the scalp around in small circles to encourage blood flow. Many herbs and stimulants have been added to the Hair Stimulation Medallion, but I believe the most important addition is ATP Plus. If you think your hair loss is connected to a chronic illness the ATP medallion could be a useful addition to your overall health and will also strengthen the ATP in the Hair Stimulation Medallion You could use both together. The Health Plus Medallion is an All-Round Healing Program. This Medallion has expanded health benefits to complement all of the other products. Its rejuvenation frequencies boost any other products being worn. This is very useful if you have a client with a chronic condition. The medallion also contains the energetics of GH-3 which contains regenerative qualities, this helps to improve balance, cleanses blood vessels, and improves circulation to all of the body. The GH-3 will also help to maintain youth and vitality we can lose as we get older. One of the biggest factors in aging is a buildup of MAO (monoamine oxidase, an enzyme)The GH-3 helps to normalize the levels of MAO. This enzyme tends to start building up in the body after age 45. Too much accumulation can lead to tiredness and depression. When the energetics of the GH-3 normalizes the levels of the MAO enzyme in the body we have a much better youthful out look on life. Lyme Disease (Borrelia Burgdorferi) is caused by a number of different strains and species of Borrelia bacteria. In the United States the strain is usually Borrelia burgdorferi. In Europe the strain is Borrelia afzelii and Borrelia garinii. Those strains are now added to the Lyme Regimen. This is the reason I ask many of you if you had traveled abroad before you became sick! I found a very interesting medical report saying many people are misdiagnosed as having Lyme Disease, but were actually infected by the Babesia microti, a microscopic malaria-like parasite (also called a piroplasm), that infects red blood cells. On further research I found some more corroborating reports. Further researched revealed that up to 40% of patients with Lyme disease experienced concurrent Babesia Microti, which makes it very difficult for a Doctor to diagnose, as the symptoms are very similar, but the treatment is very different. .
Scientists believe Babesia microti is the most common piroplasm infecting humans. so the body can utilize it if needed. Babesia Microti can increase the severity of Lyme disease. Co-infected patients are more likely to have experienced fatigue, headache, sweats, chills, anorexia, emotional lability, nausea, conjunctivitis, and splenomegaly (enlargement of the spleen) more frequently than those with Lyme disease alone. Babesia Microti can also increase the duration of illness with Lyme disease. Babesia patients can remain symptomatic for years with constitutional, musculoskeletal, or neurological symptoms. One-third of patients with a history of both Babesia microti and Lyme disease remained symptomatic an average of 8 years or more. We now have this updated product available as Patches and Medallions. into new non-corruptible Medical Energy Tags. The Medallions and new Metal Energy Tags come with a programmed chain. They can also placed under a pillow at night. Food and drinks can also be placed on them for a few seconds to transfer the energy. If the Lyme Patch does not work the problem may be RMSF (Rocky Mountain Spotted Fever) which is caused by ticks. I made a patch for RMSF for one of my Practitioners and I was told it worked on the pain and rash within a day . RMSF has been added to the AEP Energy Tags. We also have a Lyme Pet Tag, it can be very serious if a dog gets infected. It is not very common for cats to get Lyme Disease. This is one of the most important products I have ever produced. Anyone who has had a crown, root canal or dental implants needs this Product. I use mine every day as a protection from oral bacteria. Unfortunately I only became aware of the harmful bacteria that use our mouths as their habitat earlier in 2016. At that time a friend was having ongoing trouble with a root canal and I was suffering from some really bad dental work. I started to do some serious research and was amazed to find that our mouths can become home to approximately 280 bacterial species in the oral cavity that have been isolated in culture and formally named. More bacteria than in any other area of the body, and it is believed that there could be thousands and they can spread throughout the body and be the underlying cause of many diseases. I added the most common bacteria of the Oral Bacteria & Biofilm to this new Medallion and expect to add more as the research continues on this new understanding of how Oral Bacteria can cause many illnesses with in the body. Dentists who understand about and treat the dangers to our health from these bacteria are called Biologic Dentists and most belong to IAOMT, The International Academy of Oral Medicine and Toxicology. The oral cavity appears as an open ecosystem, with a dynamic balance between the entrance of microorganisms, colonization modalities, and host defenses aimed to their removal: To avoid elimination, bacteria need to adhere to either hard dental surfaces or epithelial surfaces. The oral biofilm formation and development, and the inside selection of specific microorganisms have been correlated with the most common oral , such as Dental caries. Periodontal disease, and Peri-implantitis which is an inflammatory disease marked by bacterial infection and the gradual loss of the jaw bone supporting the implant. It’s not yet clear whether the infection causes the bone to recede, or the bone loss exposes the area to bacteria. The whole root of the tooth is composed of about a 70% calcified structure, within this calcified structure-called dentine are micro-tubules, tiny hollow tubes, that run from the inner chamber, the pulp or nerve chamber of the tooth, through the wall of the tooth to the outside. This is where alternative dentists see the big problem with a lot of the root canals done. They recognize the potential for infection created by the bacteria in the dentin tubules and have started to sterilize the tubules with the laser. In a crown or root canal the cement filling or sealant can shrink after a few years and become a safe habitat for bacteria where antibiotics do not reach. Some alternative dentists are using laser therapy. This is a method about which you need to consult with your dentist, I have very little knowledge of it. To fully be aware of the dangers of biofilms of the oral cavity it is necessary to understand the complex interactions between all the bacterial species inside the biofilm and host tissues and responses. Microorganisms from the oral cavity have been shown to cause a number of oral infectious diseases,including:Caries (tooth decay), Cavitations (hole or pocket in jaw bone), Periodontitis (gum disease), Endodontic (root canal infections), Alveolar osteitis (dry socket), and Tonsillitis. The Oral Bacteria & Biofilm Cards and the Medallion with the same Remedy are proving to be very important, as evidence is accumulating which links oral bacteria to a number of systemic diseases, including cardiovascular disease, stroke, preterm birth, diabetes, and pneumonia. I am also now able to help patients who have had Rheumatoid Arthritis for years with no relief. It is Staphylococcus Aureus that causes the problem, it also invades hip and knee replacements. It has been found that the oral pathogenic bacteria does not remain solely in the oral cavity but enters the blood stream and causes inflammation throughout the body. Researchers are beginning to realize the potential role of Oral Bacterial Infection in autoimmune diseases and have found the same bacteria that cause periodontal disease in the arteries of heart disease patients and in other points in the body. My research has discovered recent reports suggesting a significant association between rheumatoid arthritis and oral bacteria, and it is also suspected that periodontal disease may be a risk factor for psoriasis. Headaches * Trauma. * Acute Injury * Migraines * Muscle pain * Nerve Pain * Back Pain * Arthritis *Joint Pain * Tendonitis * Fibromyalgia * Bursitis * Sciatica * Neuralgia * etc. We all have little headaches and aches and pains from time to time. 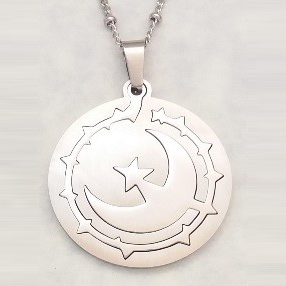 This Medallion is designed to create a higher level of comfort at the time of occasional pain. There are specific frequencies for trauma – whether it is a car accident or surgical procedures, both are an emotional and physical trauma. This medallion can be used with the Master Restoration Patch or one of the Health Plus products for faster relief and healing. The Pain-Tens Relief Medallion has been newly programmed with TENS frequencies and biofilm dissolving frequencies. TENS frequencies relieve nerve related pain conditions (acute and chronic) by sending stimulating signals along the energetic pathways, which interrupt the pain signals as they travel to the brain. TENS frequencies also help stimulate the body to produce higher levels of its own “Endorphins”- natural painkillers. Biofilm dissolving frequencies are also an important addition to this Patch. Where there is chronic Pain there is usually inflammation which encourages the formation of Biofilm which a layer of bacteria and other organisms that live together in a jelly like film. This film protects them from antibiotics, ultraviolet light and other “predators” which makes them hard to kill. This Medallion Contains the frequencies of the Stress & Anxiety Patch plus the Advanced Stress Patch. Anxiety * Worry * Shock (physical & mental) * Stress formula (Homeopathic) * Depression * Nervous Agitation (Homeopathic) * Nervous Tension (Homeopathic) * Pressure Stress * Brain Fog * GH-3 Serotonin * Theta Wave * Alpha Wave * Inner Peace * Kava-Kava * Chamomile, and more. Ongoing stress at work etc. It also contains the calming frequencies for daily stress caused by worry, frustration and overwork. You will find just holding the medallion and taking a deep breath will have a calming effect. You can also hold the Medallion next to a glass of water or other liquid for just a few moments and you will be able to sip the calming energy. This Medallion is programmed with the energetics that are in the Advanced Eye Focus and the Vision & Clarity Patch, plus energetics for: Cataracts (extra) . Eye Strain left & Right * Eyesight (homeopathic) * Eye Bright (Homeopathic) * Lutein * Gingko Biloba * Ascorbic Acid * Folic Acid * B12 * Omega 3 * Selenium . These Energy Cards have been designed and programmed with a new advanced technology! They do not need to be close to the body as the energy will extend about three feet. The Card does not need to be used 24/7, use as needed. The card does not get depleted with use, and will last about three years. The Cards are complementary to the Patches so both can be used at the same time. You will see quicker results if you concentrate on no more than three different types of therapy at the same time; it is better to prioritize. It may be preferable to use one Card at a time at first depending on the therapy but you can alternate different cards throughout the day or at night. This information will be updated as we receive more feedback. The Cards can hold many more specific frequencies than the Patches. The energy it contains may be shared with others. The body will only take in what it needs so anyone close to the Card may benefit if their body resonates with, and needs the frequency it contains, if not their body will ignore it! The Cards may be attached to inner or outer clothing worn around the neck or placed in a pocket; they may be attached to belt loops. They can be placed on a nearby desk or side table. AEP Tips: Cards will last at least three years. Do not keep them in close proximity to cell phones, computers, or other electronic devices for long periods of time. For instance do not keep them in a pocket or purse where you keep your cell phone. When not in use keep the Cards in the anti-static protection bag they came in. Powerful equipment such as those used in hospitals could very quickly corrupt the frequencies. The same could happen with energy patches, but they are changed every three days, so is not as important! This Medallion Contains all of the Weight Loss Support Patches in one Product. It is Intended as an Aid to a Diet Plan and Weight Loss Program. Research results: We tried to do a multi-faceted approach to Weight Management. If you really want to lose weight you need to follow a complete system. You must reduce caloric input and increase physical activity. Every successful weight loss program involves that. How can we make it easier? That was our goal.